TS ECET Hall Ticket 2019 will be released online on official website of Telangana State Council of Higher Education @ ecet.tsche.ac.in. 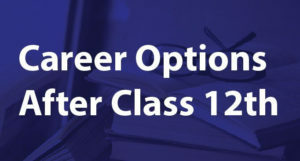 Once the JNTU Hyderabad releases the Admit card/ hall ticket of TS ECET 2019, the candidates who have applied successfully can download their hall ticket by providing required details such as registration number and date of birth. TS ECET exam 2019 is expected to be conducted on 11th of May 2019. Exam date for the Telangana ECET exam is announced and, the dates for downloading the hall ticket is nearly two to three weeks prior to the commencement of the exam. All candidates who have successfully filled the application form and have paid the registration fee will be able to download the hall ticket. TS ECET Hall tickets 2019 will be released in the first week of May 2019. Candidates should visit the official website and provide registration number and date of birth to download hall ticket. One of the most important documents that is required by all the prospective candidates appearing for TS ECET exam is the hall ticket failing to procure which candidates are not allowed to appear for the exam. 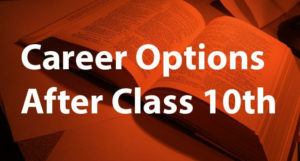 All candidates are required to carry their copy of the hall ticket to the respective exam centres and only after due examination of the details mentioned in it are candidates allowed to enter the exam hall. Candidates are thus advised to download their hall tickets as soon as possible and check the details mentioned on it very carefully. If there is any discrepancy or error in the details mentioned in the hall ticket, they must immediately contact the concerned authority without any sort of delay. Any candidate who fails to produce his/her admit card at the centre or the details mentioned in the card do not match with the documents presented, such candidates shall not be allowed to appear for the exam. How To Download TS ECET Hall Ticket? TS ECET exam 2019 will be conducted in the month of May 2019. Candidates can download their hall tickets from the official website after the hall tickets are released. The admit cards will be available to download two to three weeks prior to the date of the exam and shall be available for download for all the candidates who have filled the application form and paid the examination registration fee. 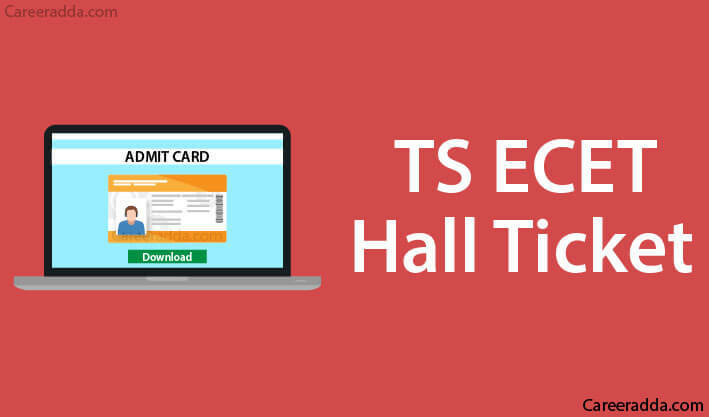 TS ECET hall ticket 2019 can be downloaded by following these steps. The hall ticket will be flashed on the screen. All candidates must go through the details mentioned in the card carefully and then take a printout for future use. If while examining the hall ticket, any such error is noticed (even the minutest of errors), the candidate must immediately contact the relevant concerned authority for correction. If any error/discrepancy is found out at the centre while checking, such candidate will not be allowed to sit for the exam. TS ECET hall ticket is the most important pre examination requisite that is to be procured by all the prospective candidates. The following details and information is conveyed through the hall ticket. Carrying any sort of prohibited items like mobile phones, electronic gadgets, digital watches, calculators, Bluetooth devices, etc. is not allowed inside the exam hall. Candidates must reach the exam hall at the exact reporting time that has been mentioned on the admit card. Candidates arriving after the stipulated time will not be allowed to appear for the exam. Any sort of unfair means or inappropriate ill behavior on the part of the candidate will not be tolerated. Such candidates shall be immediately debarred from giving the exam. Do not carry any possessions apart from the necessary documents which are not allowed inside the exam hall. Safety of such items is the sole responsibility of the candidate himself/herself. TS ECET exam 2019 will be carried out in the following mentioned exam centres. The centres will be allotted to the candidates by the Convener of TS ECET and the centres thus allotted cannot be changed. The following documents need to be carried by all candidates who are appearing for the TS ECET exam 2019. Valid photo identity proof approved by the Government of India such as PAN card, Passport, Voter ID, Driving License, Aadhar card, Ration card, etc. Q. Will The TS ECET Hall Tickets Be Sent At The Communication Address? Q. When Will The Hall Tickets Be Released? A. TS ECET hall tickets will be released on the official website two to three weeks prior to the commencement of the exam. Q. Is It Necessary To Keep A Downloaded Copy Of The Hall Ticket? A. It is necessary for all candidates to keep a downloaded copy of their admit card/ Hall ticket for future use. Keeping a downloaded copy of the hall ticket will save them from any kind of hassle or worry even if they misplace the printout of their admit card.